Several months ago, when I was first starting to get into participating in blog tours- I was participating in Cozy Mystery Reviews blog tours- an awesome site ran by Bella. Unfortunately, Bella had to take a step back from organizing blog tours- but happily, Lori at Escape With Dollycas Into A Good Book stepped in. Lori’s tours are fun and she gets quite a many good cozy books. Plus, if there is a problem- she’s quick to handle it! For all those and many other reasons- Lori is Made of AWESOME! Lori- when did you begin blogging? December 31, 2009. It was my New Year’s Resolution. How did you come up with the name Escape With Dollycas? I started my blog on Blogger as Dollycas’s Thoughts. I loved the tropical scene backgrounds and they looked like a place I would like to escape away to and sit on the beach with a good book. That evolved to calling myself Your Escape Into A Good Book Travel Agent. When I moved the blog to WordPress in October 2010 I wanted and needed a new name and the same friend that suggested I start blogging said I need to use the Escape tagline I was using as the blog’s name. She was right! I have made so many friends through these blogs. I look to them for recommendations and hope they are looking to me. I know I have convinced quite a few to try my favorite cozy mysteries. It is also wonderful to connect with the authors. Growing up before the internet the authors were almost as much of mystery as their books. They were a picture on the book jacket with their biography and sometimes there was not even that. As the world continues to change and authors are self publishing more and more they look to bloggers to help promote their books. Play with my grandkids!!! Watch Green Bay Packer or Wisconsin Badger Football or NASCAR Racing – Matt Kenseth #20 is my favorite driver! I love mysteries, especially Cozy Mysteries but I have only read a few Agatha Christie novels. I want to read them all but just haven’t been able to squeeze them in with all my review reading. Wow, that is one I have to think about. It would probably be Sherlock Holmes. Love the movies and have read most of the stories. Plus because of the movies the character is so easy to picture while reading. Anything by Agatha Christie, The newest Stephanie Plum to make me laugh, & the newest Harlan Coben. But really I read at home all the time, if I were at the beach I would want to enjoy it so much that I was too tired to even read. Play all day, party in the evening, catch a little sleep and repeat until I had to go home. I love the feel of a real book, the way it smells, there is this happy feeling as you open each new book. If I had not had a friend give me my first Kindle I don’t know if I ever would have made the leap. The only thing I like better on my Kindle is that there is none of that frustration of the words falling to deeply into the book binding. On some paperbacks you really have to bend the book because the words get too close to the crease. On the Kindle there is no binding and no crease but sometimes there are major formatting issues. So I guess I would say I am a tree book lover and an e-book friend. 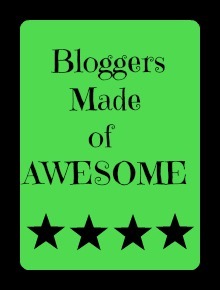 Lori- you organize/host a ton of blog tours as well as review books. What advice would you give to someone who was looking to start organizing blog tours? First of all it is fun but is so much more work than I ever imagined. So much has to happen before the first stop and then you need to make sure everyone posts on the date they were booked for. Some tours run so smoothly but then there are those that seem to have mountains of obstacles. There will be days you love it and days you want to throw in the towel and think “what have I gotten myself into?” Thankfully there are more good days than bad. I just caution anyone thinking of doing it that there is a huge time commitment and something not to be taken lightly because the authors, bloggers and publishers are counting on you to deliver the best tour possible. What book character would you love to be your best friend? And why? I could never choose one. All the places we travel in the cozy world all the characters seem like friends, it would be wrong to choose just one. But if I had to choose… maybe Sid from Leigh Perry’s new series. We all need a Sid. You have to read the book to find out why! Hosting a dinner party and can invite 8 different characters from books- who do you invite? Lula – Stephanie Plum Series – Janet Evanovich – She would have us laughing non-stop, well maybe not Jane and Miss Marple, but it would be a blast. Want to connect with Lori? Visit her blog, Facebook or Twitter! If you enjoy cozy books- she’s a good one to chat with!